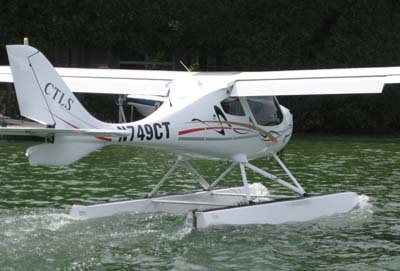 Flight Design's four seat C4 made its first flight in 2015. Breaking News ... Recently Flight Design in Germany sent a letter to their dealers including this statement, "We have applied for a planned receivership which allows for reorganization of the company." What does this mean? 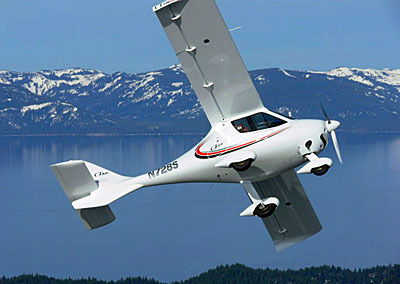 Since Light-Sport Aircraft burst on the aviation scene in 2004, Flight Design built the largest fleet in the United States. 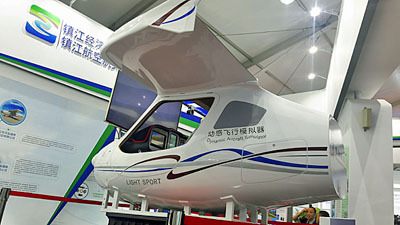 Using internationally-accepted ASTM standards to good advantage, CT series aircraft also sold well in other countries. Flight Design USA president Tom Peghiny was the first ASTM Airplane Subcommittee chair for several years in the mid-2000s while Flight Design Germany's Chief Technical Officer, Oliver Reinhardt served as overall F37 chair until very recently. Parlaying their prowess in aircraft design, testing, and certification, Flight Design engineered an all-metal version of their carbon fiber CTLS, called MC, plus a four-seat certified aircraft design named C4, among other projects. That may sound positive, but engineering-intensive projects require costlier talent and can consume boatloads of money. Several projects were started years ago and were underway as the global economy took a sharp turn for the worse in 2009. With funds stretched, serial production of existing products slowed. Something had to give. Faced with a "liquidity crunch," Flight Design GmbH filed for insolvency on February 11th. A local German court provided Knut Rebholz, an attorney with experience in restructuring, to be interim receiver of the German corporation. After his assessment, court appointee Robholz reported, "The order situation of the company is good and the products have a very good international reputation in the market." He continued, "[The] most urgent task to enable intensive negotiations to fund operations." 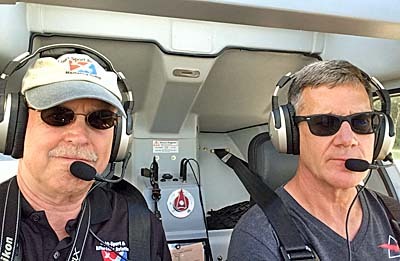 The problems faced by Flight Design in Germany slowed aircraft deliveries motivating Connecticut-based Flight Design USA to recently announce a new source of supply for their CLTSi models from a properly licensed and very capable builder. 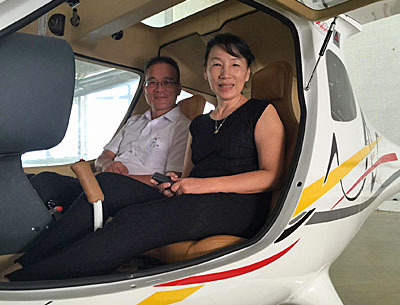 Introducing AeroJones Aviation ... AeroJones Aviation is headquartered in Taichung, Taiwan, often referred to as the "Silicon Valley" of Taiwan. AeroJones negotiated and signed an exclusive agreement to license Flight Design products. 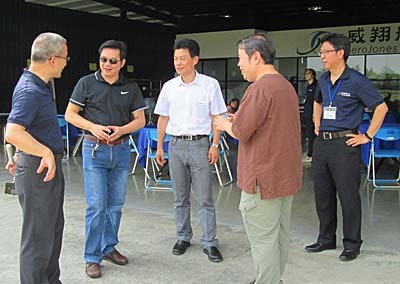 The program to begin production called for the Taiwanese company to assemble new production tooling and equipment including a five-axis CNC machine, water and Laser cutters, TIG welding, composite layup and post-cure ovens, plus a modern paint booth. 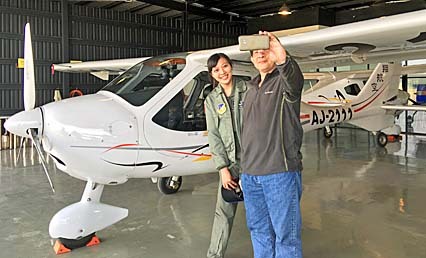 AeroJones also obtained production worker training, received training to provide quality management, and gradually built up to finished airplanes, which first occurred in 2014. 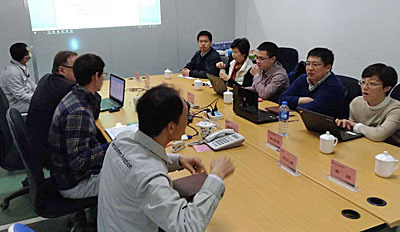 AeroJones' production facility has passed numerous audits including earning a Production Certificate from China's CAAC at the end of 2015. This is not a new, small start-up company but instead one with impressive credentials. 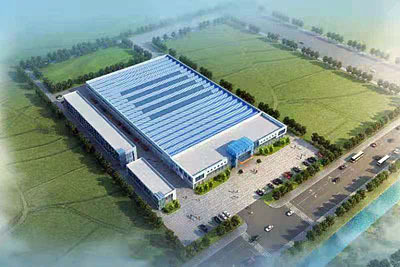 AeroJones' parent company, GSEO (Genius Electro Optical), is a manufacturer and supplier for industrial LED products and laminated lenses for many popular smartphones; it has around 20,000 employees. 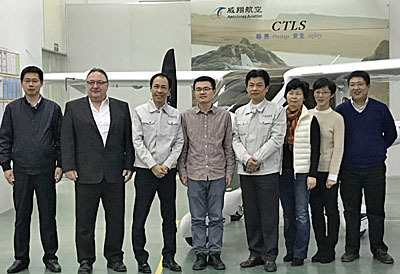 AeroJones has been building CTLSi aircraft and shipments to the USA are already scheduled. This will allow Flight Design USA to move forward with its business while the German company works to restructure. 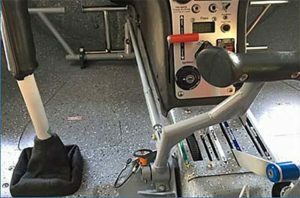 Flight Design USA noted, "Roughly 35% of a CTLS presently comes from the USA — wheels, tires, brakes, radios, antennas, GPS, autopilot, EFIS and EMS systems, intercom, Whelen lights, BRS parachute, ELT, headsets, and miscellaneous parts like the gascolator." Tom Peghiny continued, "The Austrian-made Rotax engine, propeller, composite materials, windshield and windows, paint, seats, and numerous other parts come from Europe. The planes made by AeroJones Aviation should correctly be called 'world aircraft' (just like Boeing and Airbus) as only about 25% will be of non-western origin." 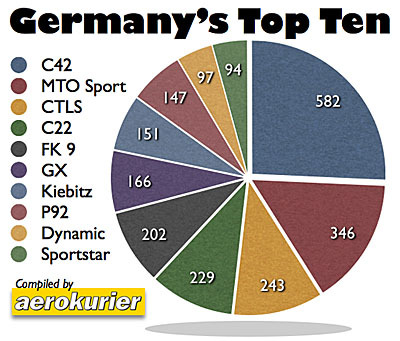 All these steps — Flight Design in Germany reorganizing, Flight Design USA arranging a new, second source for completed airframes, solidifying components from all over the globe, and preparing for a refreshed American operation — lead to their newest product announcement: the CTLSi "2020" Edition. "For 2016 we wanted to do a light upgrade to the avionics on the CTLSi centered around dual Dynon SkyView and the Garmin 796," said Peghiny. "We asked what would we want in addition if we were the customer?" "Working closely with John Hurst, the technical and sales director of Americana Aviation [a Flight Design USA distributor], we came up with a package we think is very appealing." "Since 2012, we have been delivering the Dynon SkyView SV-261 Extended Squitter (ES) transponder — which sends additional info for ADS-B out use. In conjunction with the new Dynon SV-2020 GPS source, this provides an FAA Next Gen-compliant ADS-B out solution," added Tom.• Many LSA have ADS-B in today but FAA requires the extra "out" data by 2020, which suggested the new CTLSi edition name Flight Design USA chose. "For ADS-B in we are offering three options," said Tom. "Customers can choose the Dynon SV-470 ADS-B in, which has the NEXRAD weather in the cockpit, UAT traffic displayed on the screens in vertical and horizontal position and TAFs and TFRs. Alternatively, the Garmin GDL-39-3D offers both 978 UAT traffic and 1020 ES traffic, Bluetooth connectivity to other devices, and a backup ADAHRs-like panel displayed on the Garmin 796. The third option is to have a mini iPad in an AirGizmo panel mount with a USB power supply and choose the ADS-B in software such as Garmin Pilot or ForeFlight. The 2020 Edition will come with the Dynon WiFi adapters installed which also allows loading flight plans into the Dynon mapping software." "All this refers to just the ADS-B," noted Tom. 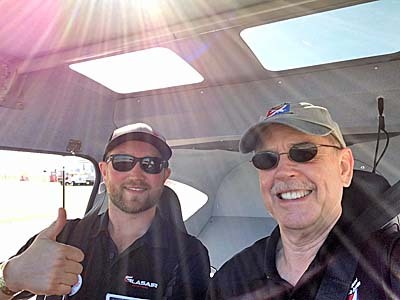 "Of course the CTLSi 2020 also comes with the Rotax 912is fuel injected engine, the Dynon SkyView autopilot, standard airframe parachute, and all the other creature comforts that Flight Design owners have always enjoyed." While the Germany company moves to restructure, it is good to see the American LSA fleet leader showing refreshed activity and many interested pilots will look forward to examining a new AeroJones-produced CTLSi at summer airshows. 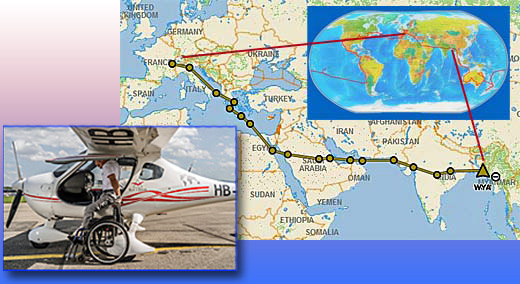 • Peghiny added, "The good news is that many existing LSA using appropriate Dynon hardware can meet the ADS-B 2020 requirements quickly and with less expense. Breaking News … Recently Flight Design in Germany sent a letter to their dealers including this statement, “We have applied for a planned receivership which allows for reorganization of the company.” What does this mean? 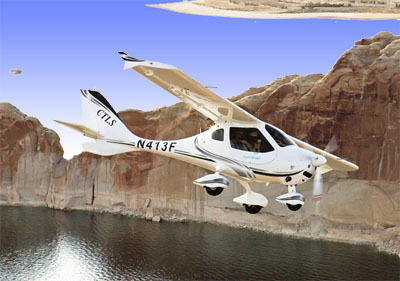 Since Light-Sport Aircraft burst on the aviation scene in 2004, Flight Design built the largest fleet in the United States. 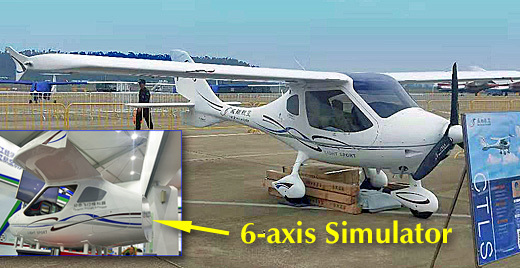 Using internationally-accepted ASTM standards to good advantage, CT series aircraft also sold well in other countries. Flight Design USA president Tom Peghiny was the first ASTM Airplane Subcommittee chair for several years in the mid-2000s while Flight Design Germany’s Chief Technical Officer, Oliver Reinhardt served as overall F37 chair until very recently. Parlaying their prowess in aircraft design, testing, and certification, Flight Design engineered an all-metal version of their carbon fiber CTLS, called MC, plus a four-seat certified aircraft design named C4, among other projects. That may sound positive, but engineering-intensive projects require costlier talent and can consume boatloads of money. 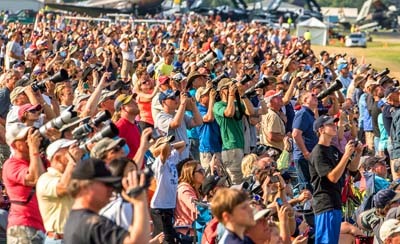 Since the beginning of Light-Sport Aircraft almost ten years ago — this summer at EAA AirVenture, the SP/LSA sector will celebrate its tenth anniversary with special functions — Flight Design has continuously led the fleet size statistics as seen in our market share charts. In recent years, along with most other LSA manufacturers, a tough global economy slowed the enterprise. However, as 2013 began to show renewed sales activity and with positive forecasts for 2014 and 2015, Flight Design and many other of the LSA "majors" have been again growing their staff, inventory, and physical facilities. Recently the German company sent photos of its new quarters in Kamenz (pronounced like "commons") in eastern Germany almost directly north of Prague in the Czech Republic. 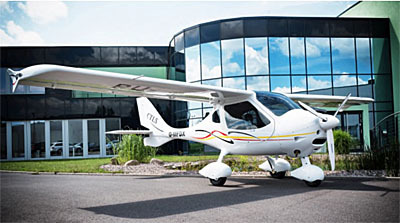 Most senior staff moved from the company's Stuttgart, Germany base to the new facility and the Light-Sport models including the CT series and more are now housed in a spacious hangar on an airport. Previously the growing company had operations in multiple locations, which can affect efficiency. The new Kamenz location helps. "We are now occupying a big hangar plus a smaller structure used for pre-delivery flight testing. 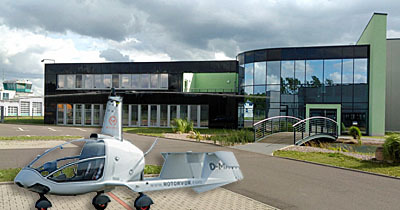 The new quarters are located at a former military base, 100 miles (160 km) south of Berlin with a 3,000 foot (1.000 m) paved runway," noted Flight Design GmbH board member and company director, Christian Wenger. "We are able to use the large hangar to stage finished aircraft after routine production and flight testing is complete. 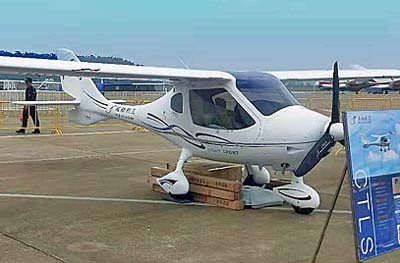 Once approved by engineers, Light-Sport Aircraft and European Ultralight aircraft are prepared for shipment to dealers in other countries or for pick up by European dealers and customers." Departments include work shops for avionics and engine installation, composite repairs and painting, plus final assembly after receiving major components from another division outside Germany. 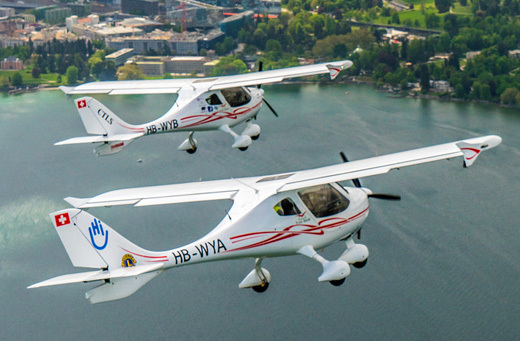 Flight Design's Kamenz facility takes over all responsibilities of Flight Design's former Stuttgart center, the company noted, to further streamline operations, optimize costs, and reduce complexity in the manufacturing and distribution of CTLS Light-Sport Aircraft. 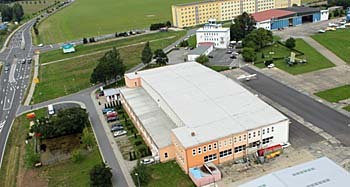 Inside the main building referred to as "Hangar 1" the company reported having ample office space for the EASA Part 21J Design Organization (including engineering and flight test) and EASA Part 21G Production Organization (including quality management staff and production management). The upper floor on the northeast side is occupied by Finance & Administration, including meeting room and Directors office. Why all this new space and those obscure new regulatory designations? "Presently we employ 18 people in Kamenz," Wenger said, "with 10 of them working on aircraft completion and delivery. The German company continues to own and operate a large component fabrication facility in Ukraine, which is constantly monitored and supervised by Flight Design personnel. 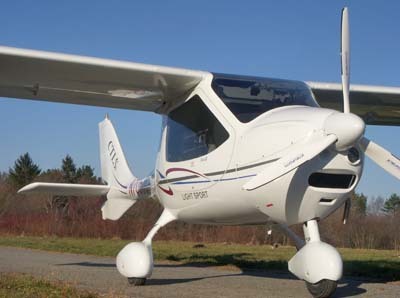 Flight Design is one of an expanding group of LSA manufacturers that are pushing into larger aircraft with four seats or more. 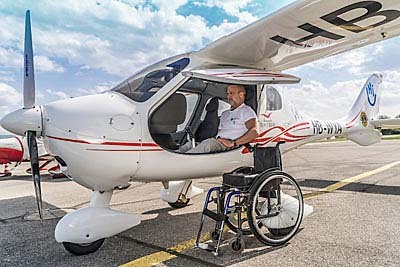 Evektor was one of the first with their four seat Cobra and close behind is Italian giant, Tecnam, which has a four seater in progress (P2010). 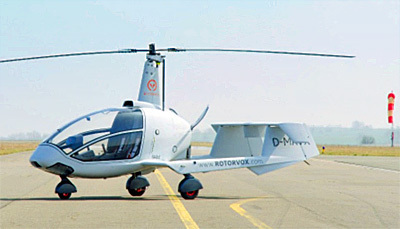 The company is presently marketing its dual-Rotax-engine Twin and has announced plans for larger commuter-sized aircraft. 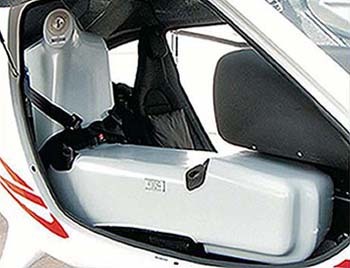 Pipistrel has flown their sleek retractable four seater, Panthera. 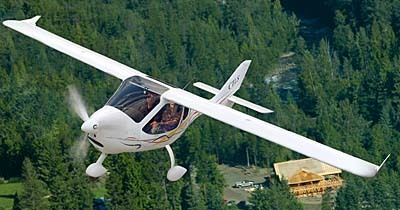 The Airplane Factory is flying their four-occupant Sling 4. Others not yet publicly unveiled are in the works. Flight Design is also working steadily in the sector with their four-seat, all carbon-fiber C4 among other ideas under consideration. 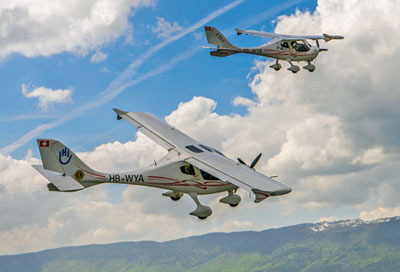 With legacy producers like Cessna focused on jets and other working aircraft, the new breed of four seaters might emerge powerfully from the LSA space and Flight Design is preparing for that future with their move into the new quarters in Kamenz. 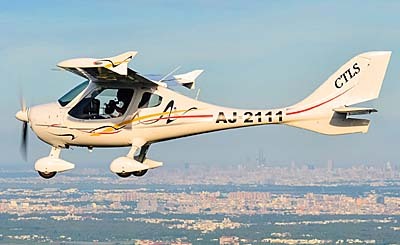 Since the beginning of Light-Sport Aircraft almost ten years ago — this summer at EAA AirVenture, the SP/LSA sector will celebrate its tenth anniversary with special functions — Flight Design has continuously led the fleet size statistics as seen in our market share charts. In recent years, along with most other LSA manufacturers, a tough global economy slowed the enterprise. However, as 2013 began to show renewed sales activity and with positive forecasts for 2014 and 2015, Flight Design and many other of the LSA “majors” have been again growing their staff, inventory, and physical facilities. Recently the German company sent photos of its new quarters in Kamenz (pronounced like “commons”) in eastern Germany almost directly north of Prague in the Czech Republic. 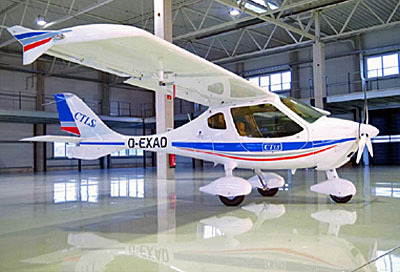 Most senior staff moved from the company’s Stuttgart, Germany base to the new facility and the Light-Sport models including the CT series and more are now housed in a spacious hangar on an airport. 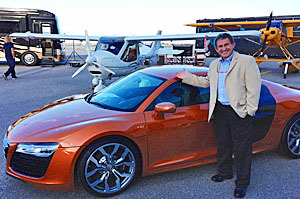 Florida Light Sport Aviation's Brian Boucher poses by an Audi R8 parked near his CTLSi. A SeaRey kit nearing completion shows a fantastic air-brushed paint job. The "testosterone festival" had something to stir the soul of every attendees. Perhaps the most arresting aircraft was "Precious Metal," a highly modified P-51 created to race in the Unlimited Class at the Reno National Championship Air Races. It arrived compliments of Kissimmee Florida's Warbird Adventures. In silver, a Rolls Royce Thunderbolt with its flame-belching exhaust stacks and Merlin engine. ||| In carbon fiber black is the super-exotic $1.4 million Pagani Huayra. Festivals of Speed is not your "everyman" show tour. Aimed at wealthy folks, Joe Sabatini's FoS extravaganza is quite different than the usual airshow fare. Some very distinctive aircraft drew plenty of attention ... if you could tear your eyes away from a large gathering of magnificent supercars or scores of beautiful people. 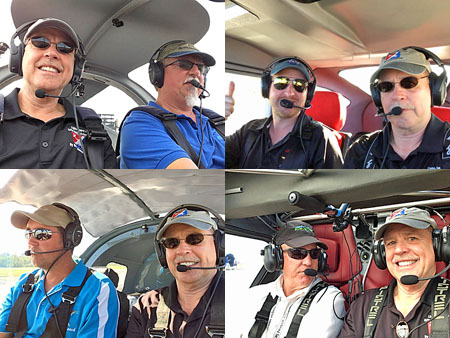 The event was based at the Orlando International Airport, which meant flying a few Light-Sport Aircraft into the Class B jetport and assembling in and around the giant hangar at Galaxy Aviation FBO. Opening night was hob-nobbing with the well-to-do types that can supposedly afford the goods on display. Via silent auction, Festival of Speed also benefits charities such as Arnold Palmer Hospital For Children. 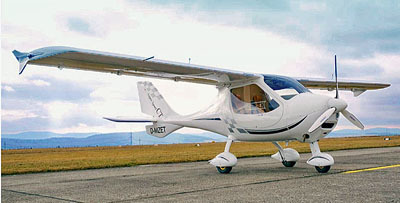 For the first time, Light-Sport Aircraft were invited (and not asked to pay what surely is a steep price of entry). 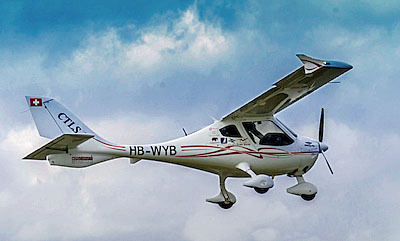 Representing the fleet were Progressive Aerodyne's SeaRey and Flight Design's CTLSi. 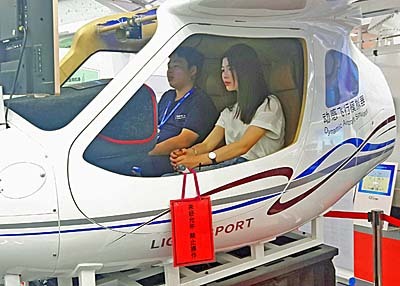 Both were well received and of those well-heeled attendees with whom I visited, the surprises were that they knew about "some easier, lower-cost pilot license" and in a few cases quite a bit about LSA. 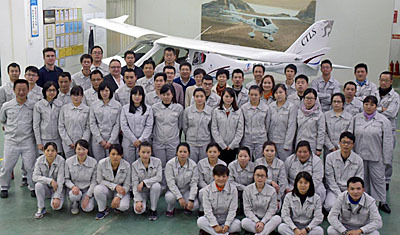 It appeared that on the eve of the 10th anniversary of SP/LSA, the new FAA class has become a known quantity. Rich folks often become wealthy by watching how they spend their money and I was taken aback by how many people said they had some interest in getting the new pilot certificate. 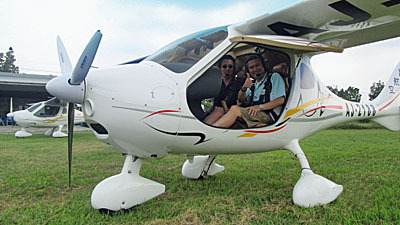 People with fatter wallets than mine were impressed and pleased to hear a pilot license could be obtained for $4,000. Clearly, it isn't just those in the middle class that celebrate a more reasonably priced point of entry. As with other non-conventional means to promote flying and doing so with Light-Sport Aircraft, shopping mall displays, appearing at boat shows or farm implement shows, and participating in high-end events like Festivals of Speed helps carry the message of flying to more folks. I think aviation needs to do a lot more of this sort of thing, especially when given the chance to do so without cost. By the end of the three hours it was only a guess as to the value of participation. Will any LSA sell as a result? Umm, probably not. Will someone take lessons toward their Sport Pilot certificate. Yes, maybe. Is it all still worthwhile? Well, it was a just a few hours of the day toward an educational effort and I think aviation needs to do more outreach of this or some sort. A hearty thanks to Jana and Gary Filip of the Sebring U.S. 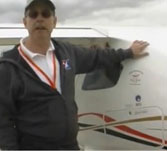 Sport Aviation Expo for including the LSA representatives in this event. Be sure to mark your calendars for January 16-19, 2014. We're only about six weeks away from the show that starts a new year of flying! Festivals of Speed is not your “everyman” show tour. Aimed at wealthy folks, Joe Sabatini’s FoS extravaganza is quite different than the usual airshow fare. Some very distinctive aircraft drew plenty of attention … if you could tear your eyes away from a large gathering of magnificent supercars or scores of beautiful people. The event was based at the Orlando International Airport, which meant flying a few Light-Sport Aircraft into the Class B jetport and assembling in and around the giant hangar at Galaxy Aviation FBO. Opening night was hob-nobbing with the well-to-do types that can supposedly afford the goods on display. Via silent auction, Festival of Speed also benefits charities such as Arnold Palmer Hospital For Children. For the first time, Light-Sport Aircraft were invited (and not asked to pay what surely is a steep price of entry). 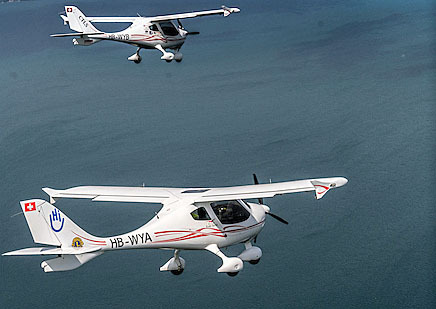 Representing the fleet were Progressive Aerodyne‘s SeaRey and Flight Design‘s CTLSi.